Sea Cloud Cruises is a German company that features yacht sailing and river cruising. 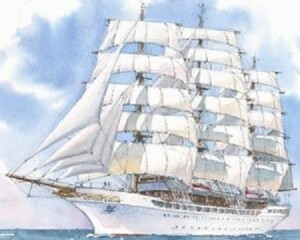 Sea Cloud and Sea Cloud II are the most luxurious sailing ships as described by experienced travellers. They are suitable to mature voyagers who enjoy spending a holiday on real tall ships, and want to have a romantic and classic vacation. Sea Cloud is also the oldest yacht in the world.